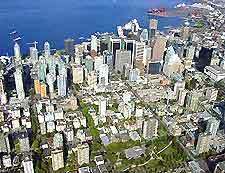 Vancouver has a fairly solid transport infrastructure, which is easy to negotiate and travel around, whether you are a Vancouver resident or a first-time visitor to the city. The international Vancouver Airport is within easy driving distance of the city, while for getting around central Vancouver itself there is a reliable public bus service, light rail transport and convenient taxis for when you need to travel door to door. For journeys beyond Vancouver and Canada, Amtrak and Greyhound provide reliable transport services. Vancouver International Airport (YVR) is the second busiest airport in Canada, providing a much needed gateway to the west coast of North America. Handling more than 15 million passengers per year, the airport is an important air transport hub and operates flights to and from a large number of both domestic and international destinations, with daily air travel to most big US cities. 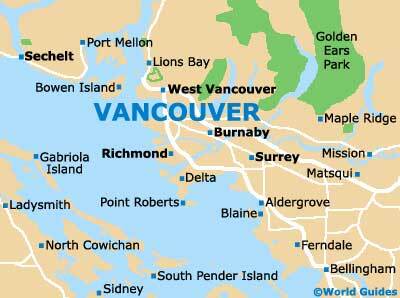 Vancouver Airport is located just 8 miles /13 km south of downtown Vancouver. Car rentals are available at Vancouver Airport from a number of internationally-recognised transport companies, as well as from dealerships in the city center. Driving conditions in the Vancouver area are not known for being overly difficult or stressful and visitors will find the road network a relatively easy affair to travel around. Highways 7 and 99 are the main roads serving the city. 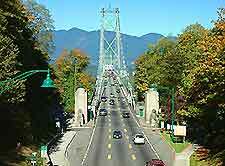 Book your Vancouver Car Rental here. Public bus services in Vancouver are provided by Translink and are known for being cheap and efficient. Buses serve the Seabus terminal, the Skytrain and the airport. The Greyhound Bus Company operates services which travel to some US cities and other Canadian destinations. The West Coast Express service is a commuter rail system serving central Vancouver. Coverage is somewhat limited and during peak times trains travel in one direction only. Meanwhile, for trains out of Vancouver, Amtrak offers rail transport from Vancouver and many US cities, with the route to Seattle being among the most popular. Vancouver has four major taxi transport companies that provide services on a hail and ride basis in the downtown area. If you wish to travel from another area where cabs are not so easy to find, it is best to call and make a booking in advance.